National Grid Electricity System Operator (ESO) has “finalised” the next Capacity Market auction for June 2019. It has rearranged the postponed T-1 auction for the 2019/20 delivery year – which was originally scheduled to take place in January – for 11-12 June this year. It comes after Energy Secretary Greg Clark sent a letter to National Grid ESO to rearrange the auction “as soon as reasonably practicable”. The auction – which procures the capacity required to meet peak demand, through a series of competitive auctions held a year in advance – was postponed indefinitely after the European Court of Justice suspended the scheme in a landmark ruling in November 2018. Despite the suspension and an investigation underway by the European Commission, the government has sought to push ahead with the scheme. 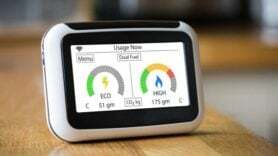 Last month, BEIS said it was planning the top-up auction T-1 for later this summer, following which Tempus Energy launched a new legal challenge at the High Court of London. Mr Clark’s letter also directs National Grid ESO to allow pre-qualified Capacity Market Unit (CMUs) to withdraw from the T-1 auction for the 2019/20 delivery year without penalty. Capacity providers who are currently pre-qualified or conditionally pre-qualified and wish to withdraw from participation in the replacement T-1 auction must submit an Auction Withdrawal Notice Template. Prospective and demand side response (DSR) Capacity Market Units (CMUs) still have the option not to confirm entry to the replacement auction, rather than submit the Notice. The auction will, however, only take place after the go-ahead from the EU.